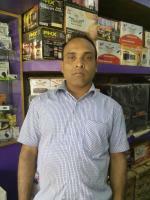 Looking for Aghria grooms in Keonjhar? Register free at oriyamatch and get 1000s of Keonjhar Aghria grooms working as well as non working. We are the most trusted & leading Keonjhar Aghria matrimony and have 1000's of good looking, smart and intelligent oriya Keonjhar Aghria grooms. Select Your compatible Keonjhar Aghria grooms from our varified active profiles at Oriyamatch.com. Browse for a matrimonial profile from other major cities like Balasore, Bargarh, Phulbani, Sambalpur, etc. and caste likes Banayat, Gopal, Rajput, Raulo, etc.